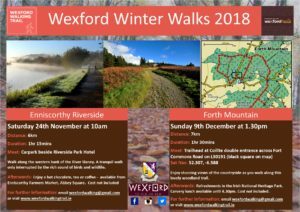 Step outdoors into nature and walk Wexford with us this winter. 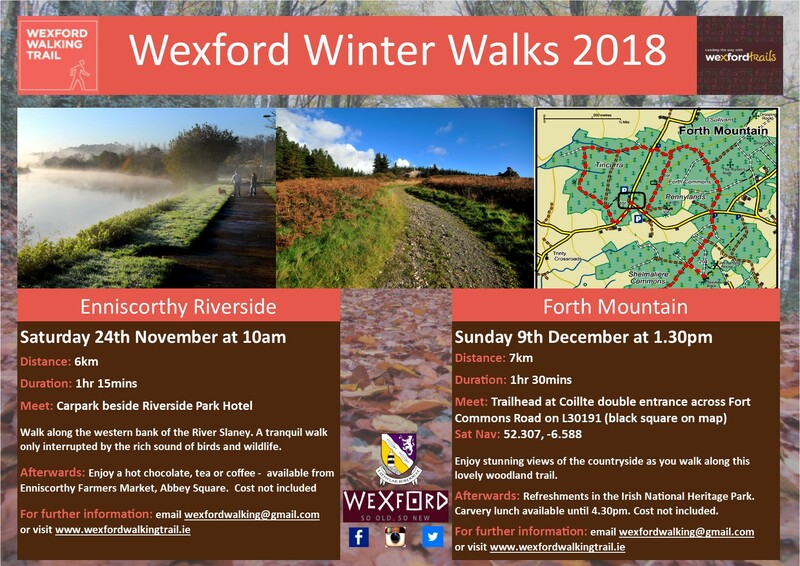 Dust off your walking boots, bring your friends and join us for a stroll in the wild. There is nothing like a good walk to blow away those cobwebs. Enjoy the stunning Wexford countryside at your own pace. Looking forward to seeing you there. Afterwards: Refreshments in the The Irish National Heritage Park. Carvery lunch available until 4.30pm. Cost not included.